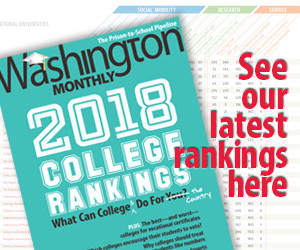 Washington Monthly | White Enough? You’ve heard the grumbling about other presidential candidates. Is Barack Obama black enough? Is Rudy Giuliani white enough? Have I been living in a cave? Exactly who is it that’s been asking if Rudy Giuliani is white enough to be president?